My good little sleeper still sometimes wakes up earlier than I would like. Like between 6:45-7:30. 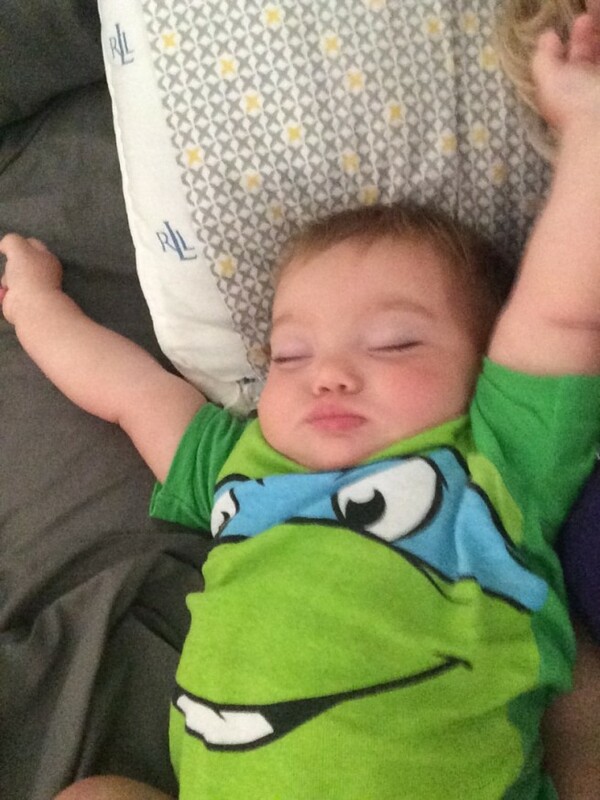 Daddy is amazing & gets up with you on the weekends so I can still sleep. He makes me feel spoiled. We got you some more swim suits this month. Being at the pool often or in the little play pool in the yard means yall need wet clothes. We got you 2 from Carters to go along with the 2 from Gymboree you already had and then we found you an Honest brand rash guard at TJMaxx. We got you 18 months. 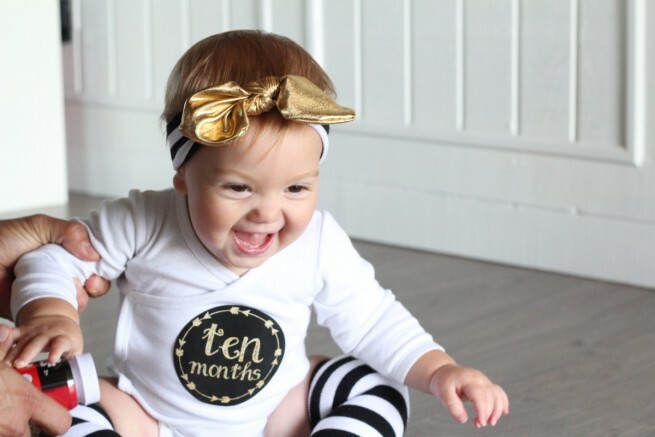 Anything that is a one piece has to be 18 months, otherwise we can get away with 12 month. I just can’t believe how fast you have grown and how long clothes actually fit you. I’ve been LOOOOVING Carters lately. 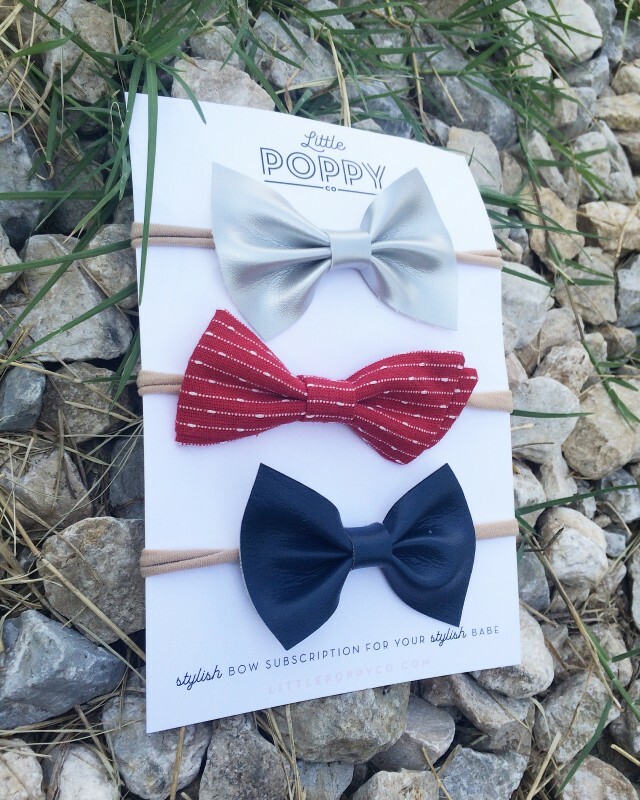 And still loving our Little Poppy Co headband subscription. You are signing your FIRST SIGN! Milk! When I ask you if you want milk you get very excited and sign it along with me. We sign the potty sign when we know you are going just so we can start getting you used to it. You are also WALKING! 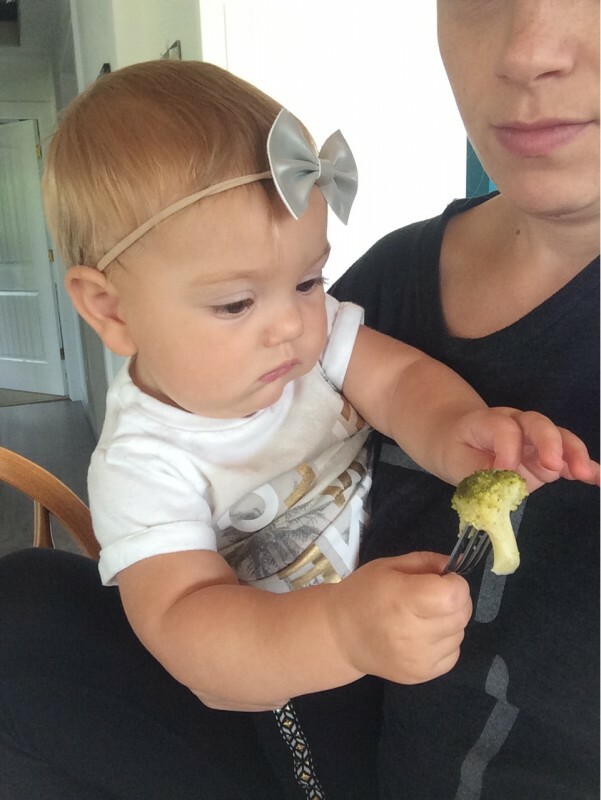 You took your first step 2 days after you turned 9 months old. You started with 3-4 steps at a time and now you can walk all the way down the hallway without falling. I’ve also seen you walk in a circle like to go back the other direction. You got your 3rd tooth! The bottom left one has a white spot on it still but has not come through at all. 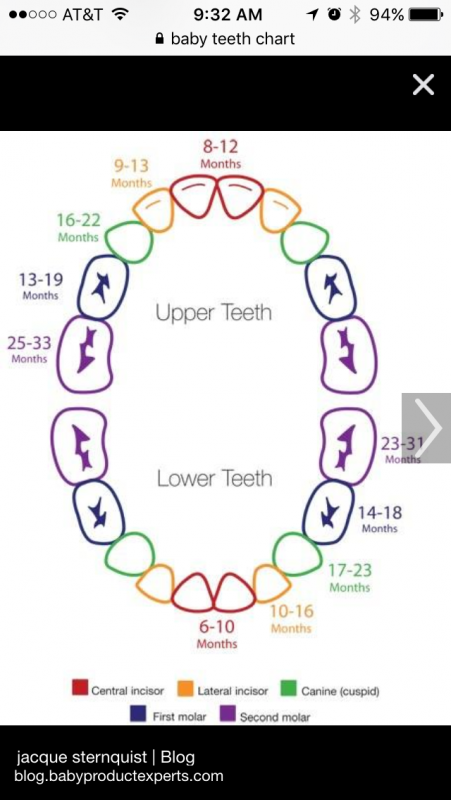 Your official 3rd tooth is your top left lateral incisor. It’s so funny it’s not your top front teeth but I think those are not far behind. Hylands teething tablets have worked great for us just like with your brothers. Since July 4th fell on a Monday this year we had fireworks going off all around us the whole weekend. Being out in the country we could see them from every direction. We went outside on the 3rd and I think it may have been because you were so sleepy but they were scaring you and making you jump when the big ones went off. When we watched them from our window you were mesmerized though. On actual Independence Day you were asleep before they even started. You and Jonah both. 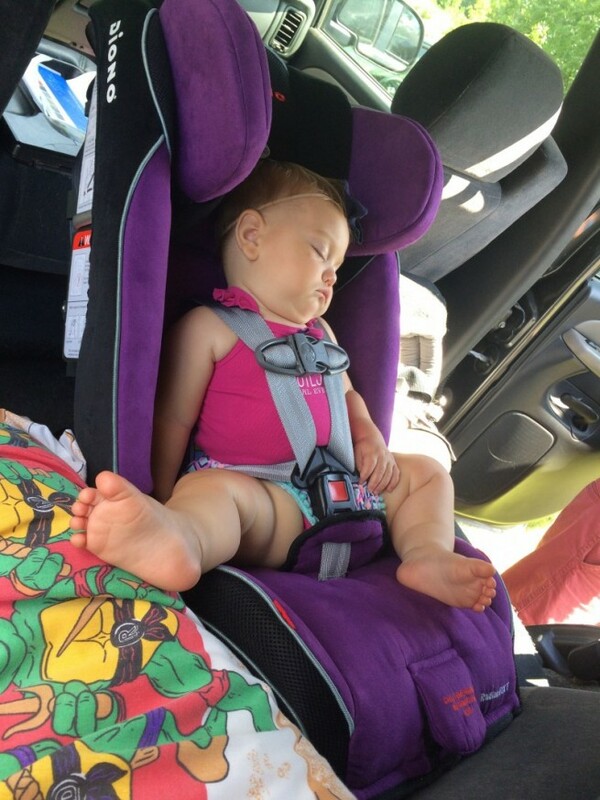 We got your new car seat installed!